*The Following Alaska and Yukon Koyukuk Borough supplemental forms are included as a courtesy with your order. Are these forms guaranteed to be recordable in Yukon Koyukuk Borough	? Yes. Our form blanks are guaranteed to meet or exceed all formatting requirements set forth by Yukon Koyukuk Borough including margin requirements, content requirements, font and font size requirements. 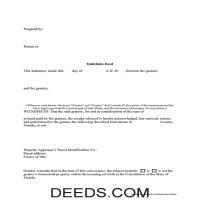 Get your Yukon Koyukuk Borough Disclaimer of Interest form done right the first time with Deeds.com Uniform Conveyancing Blanks. At Deeds.com, we understand that your time and money are valuable resources, and we don't want you to face a penalty fee or rejection imposed by a county recorder for submitting nonstandard documents. We constantly review and update our forms to meet rapidly changing state and county recording requirements for roughly 3,500 counties.